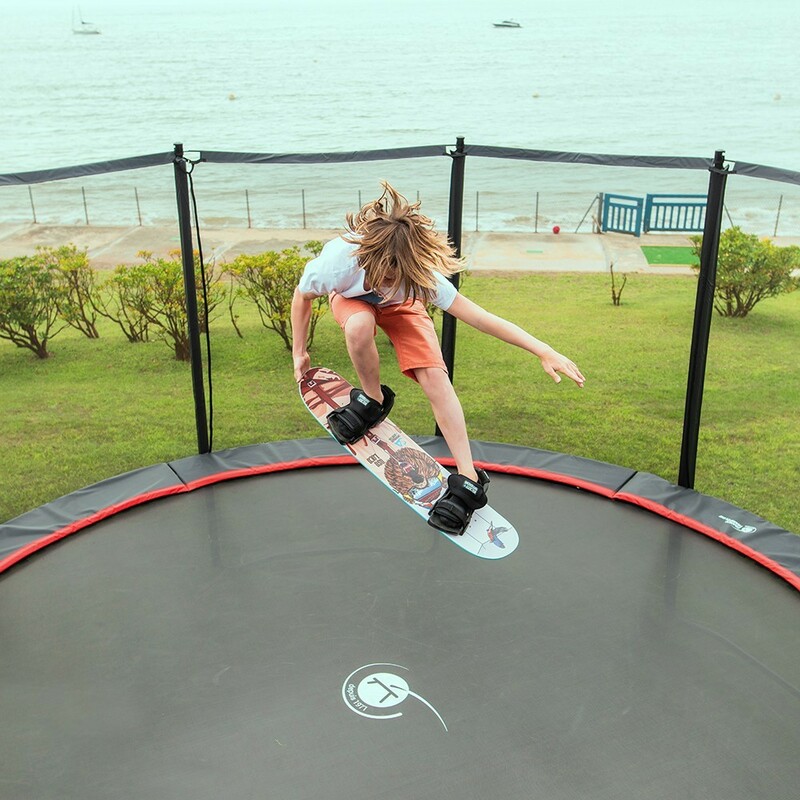 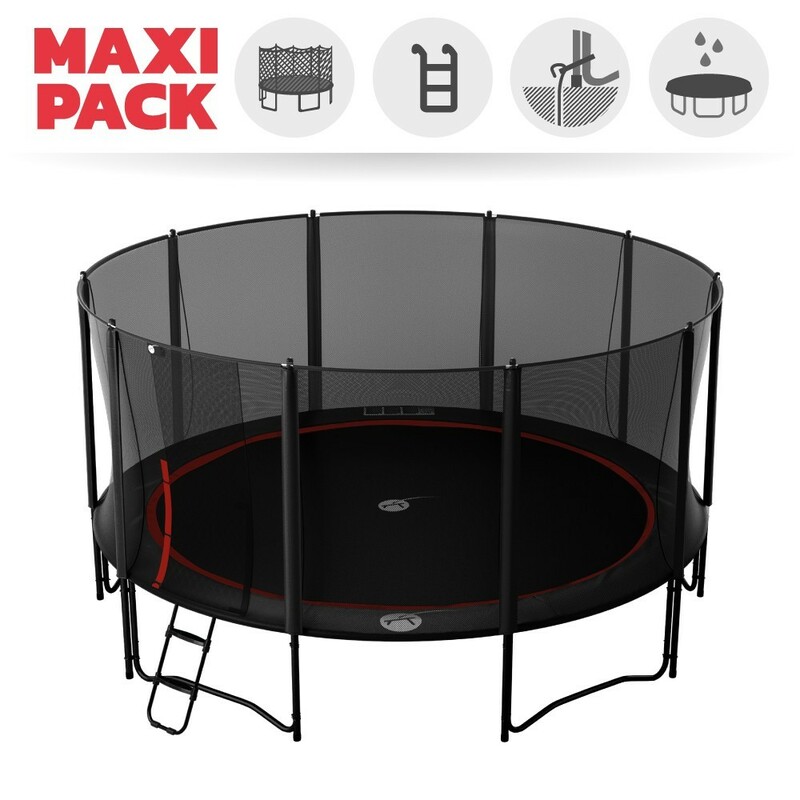 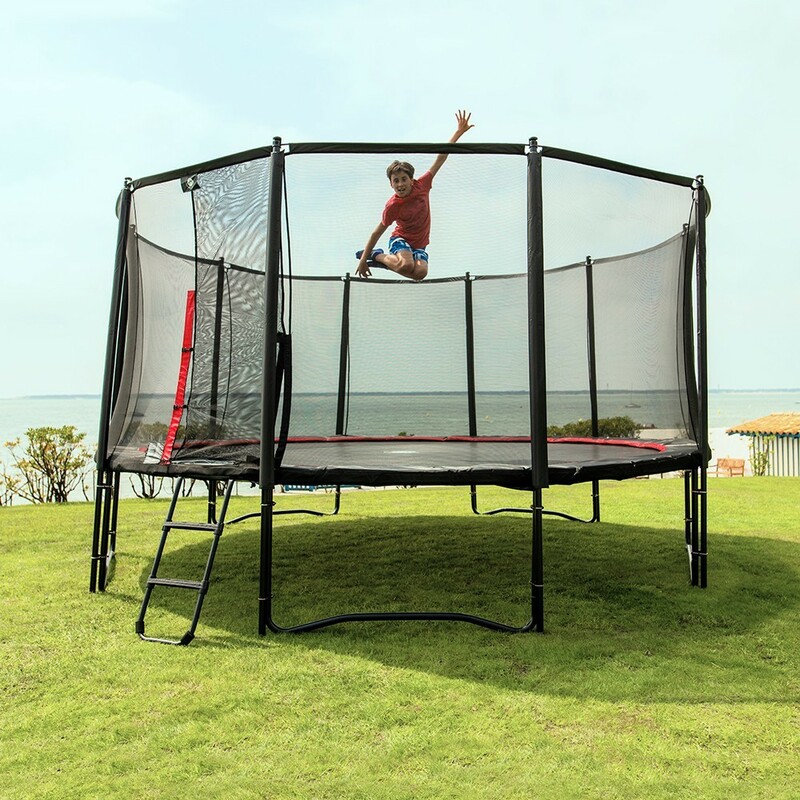 The Maxi pack 16ft Booster 490 trampoline, with enclosure, ladder, anchor kit and weather cover is an efficient recreational trampoline, to be used in all gardens. 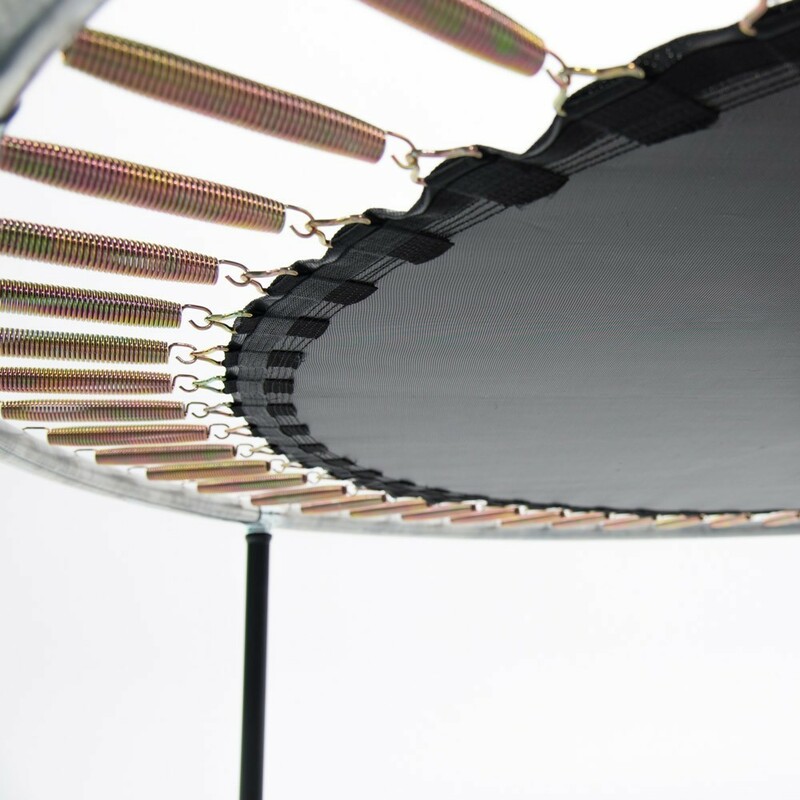 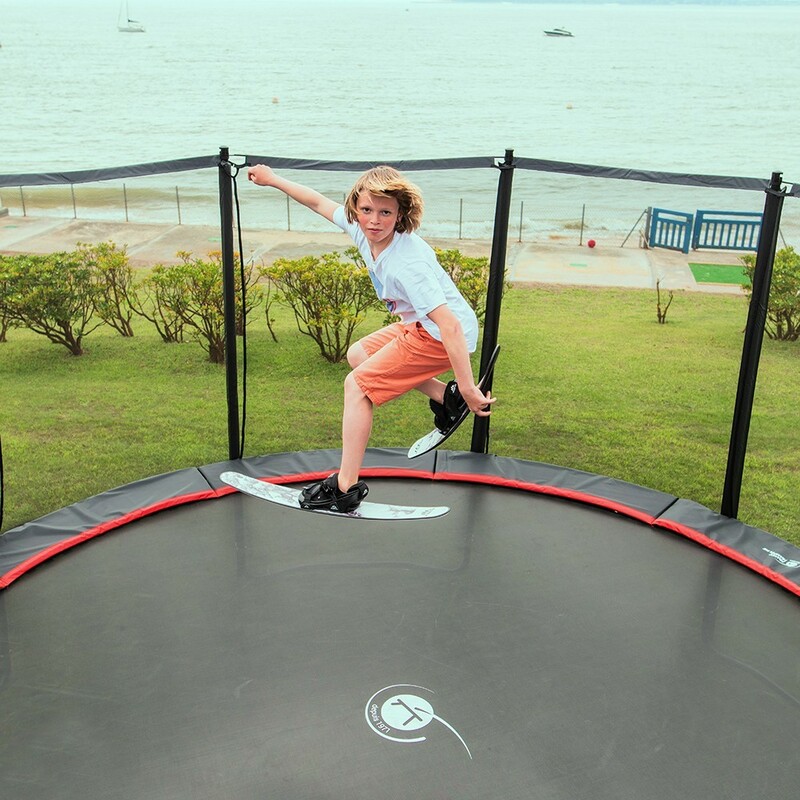 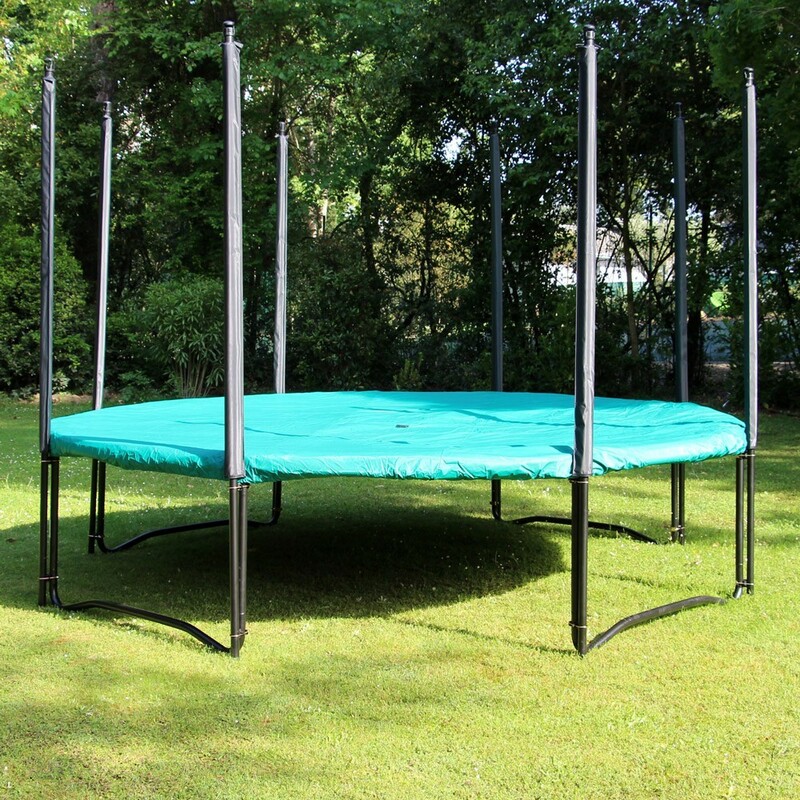 - This trampoline has 48 mm wide and 2.0 mm thick steel tubes. 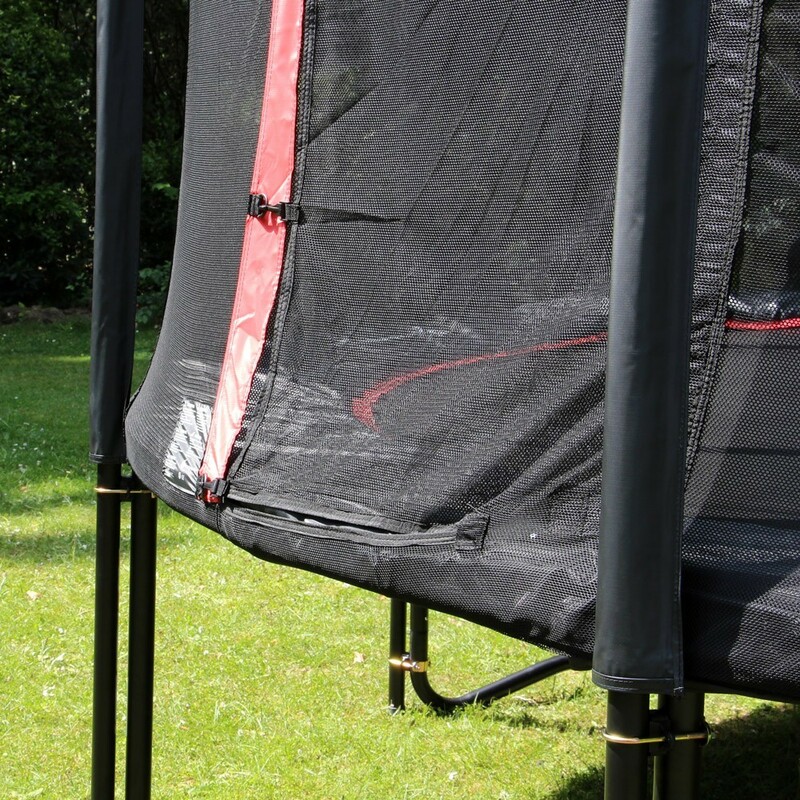 The steel framework is hot-dip galvanized which will guarantee its use throughout the seasons. 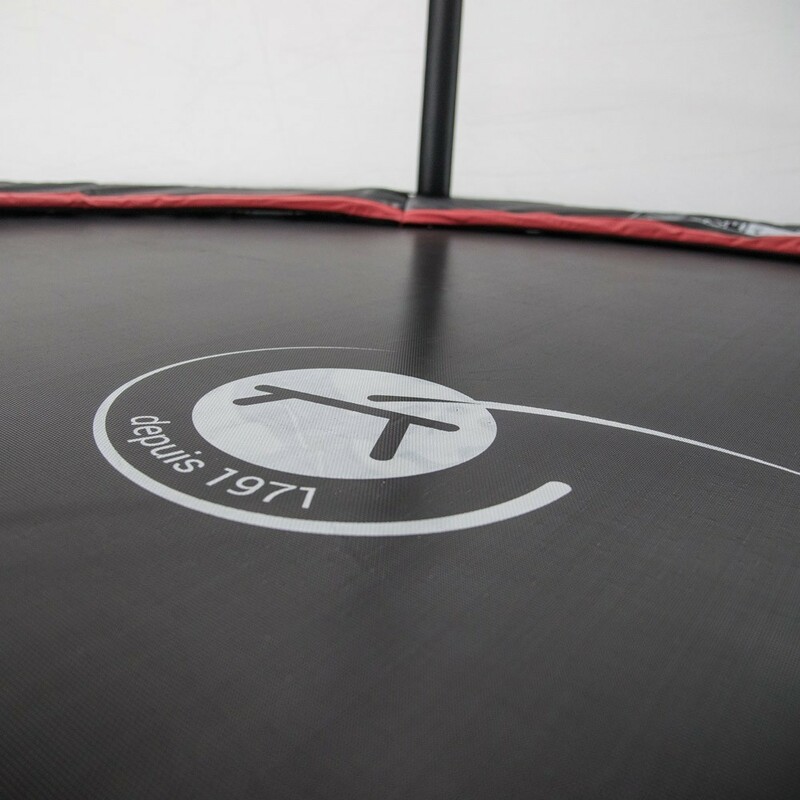 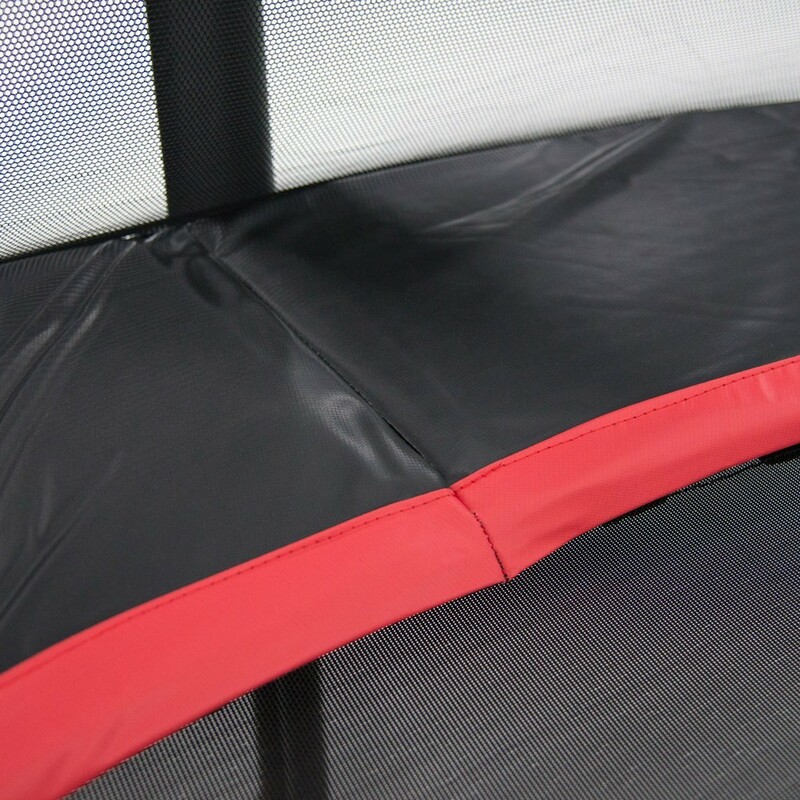 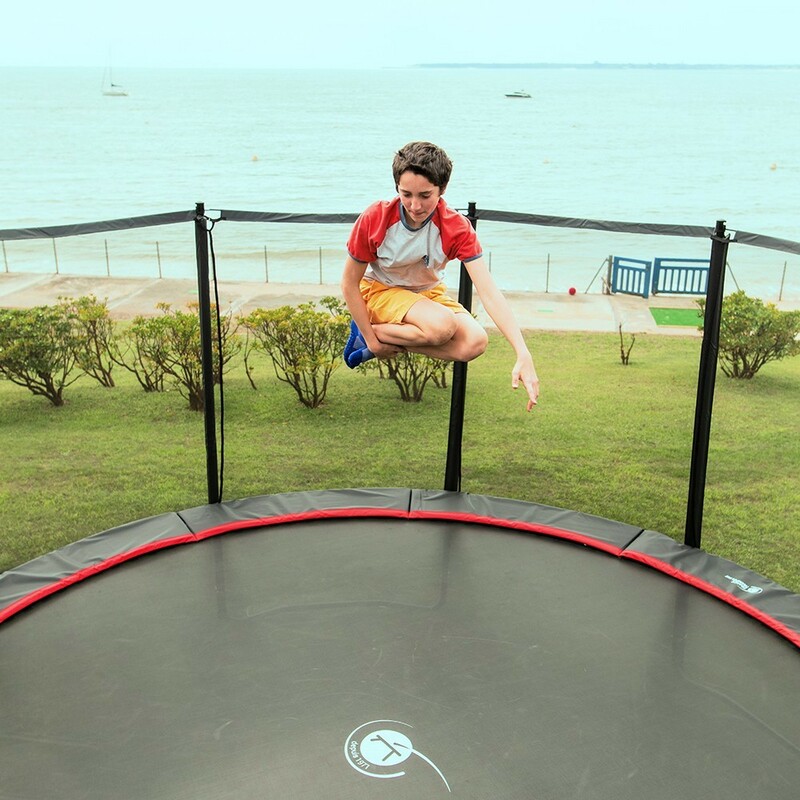 - The jumping mat has been reinforced with 8 row of stitches and a strengthening strap which will guarantee your trampolines longevity. 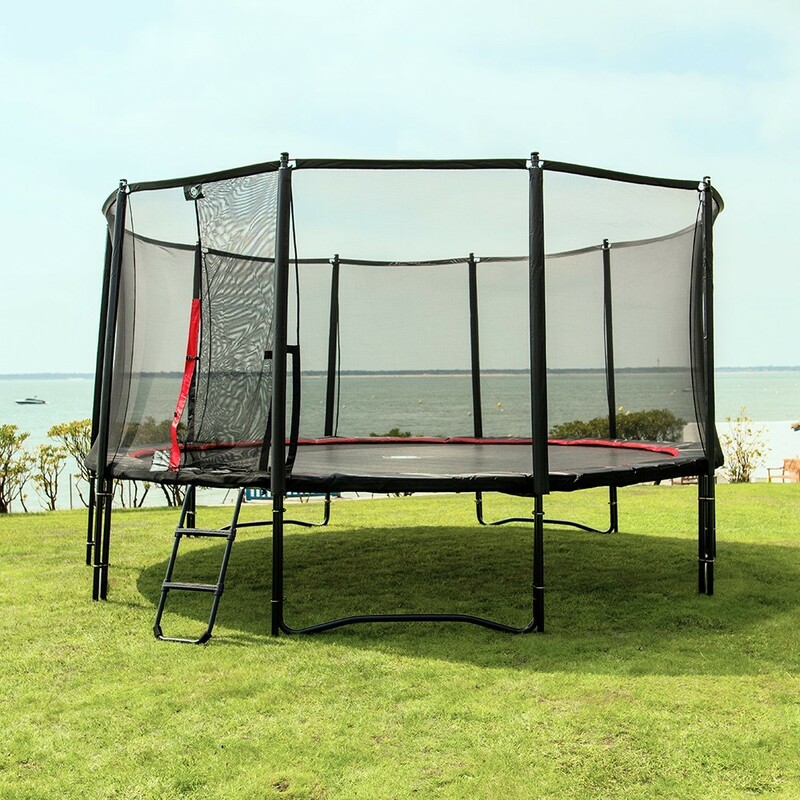 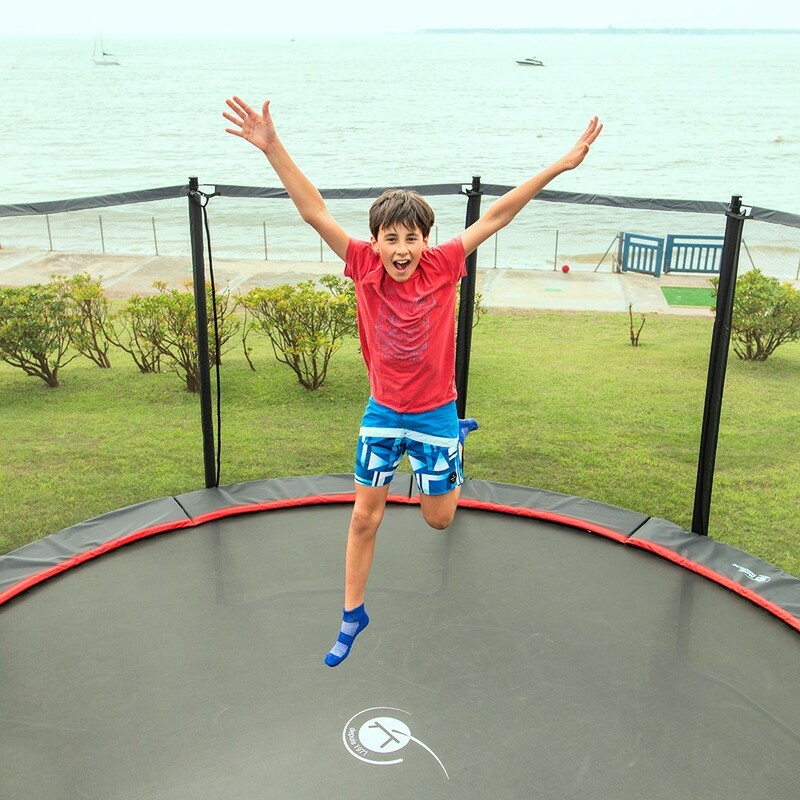 - Thanks to our premium enclosure your trampoline will remain a safe play area. 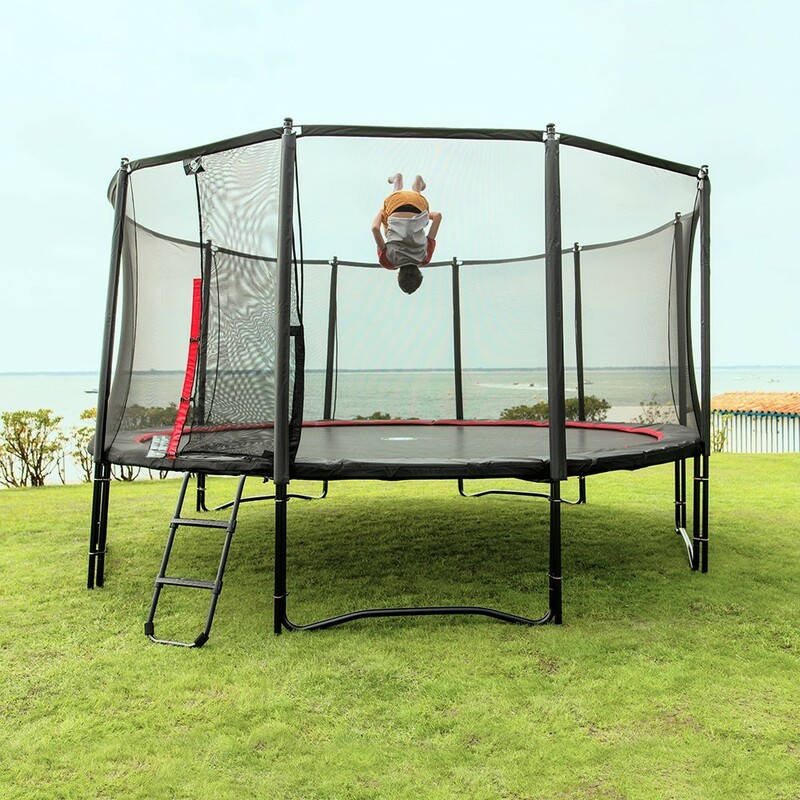 It has 8 net posts of 38 mm in diameter. 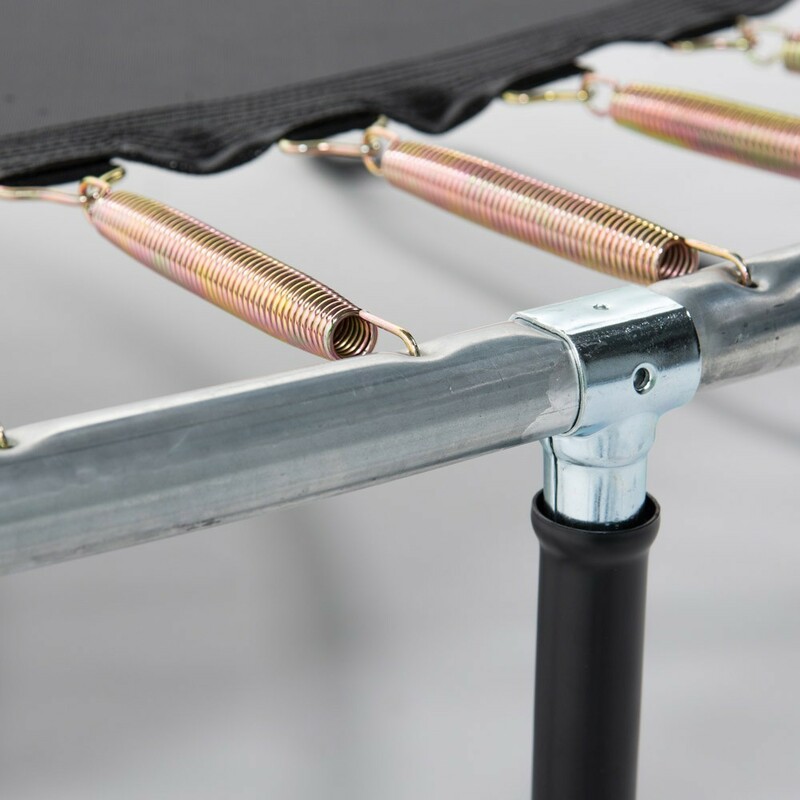 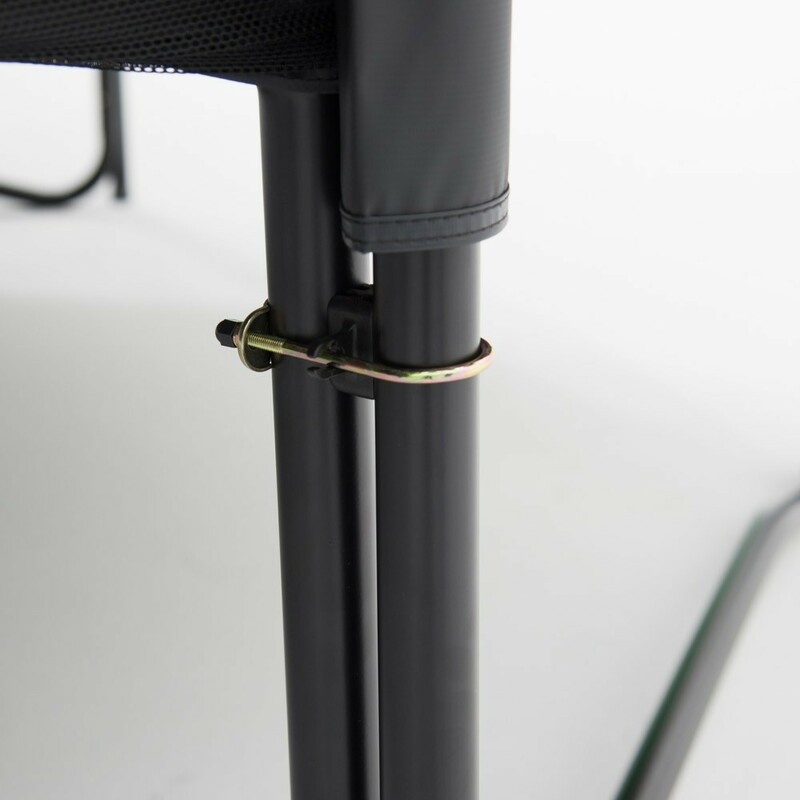 The net posts stand directly on the ground for extra stability. 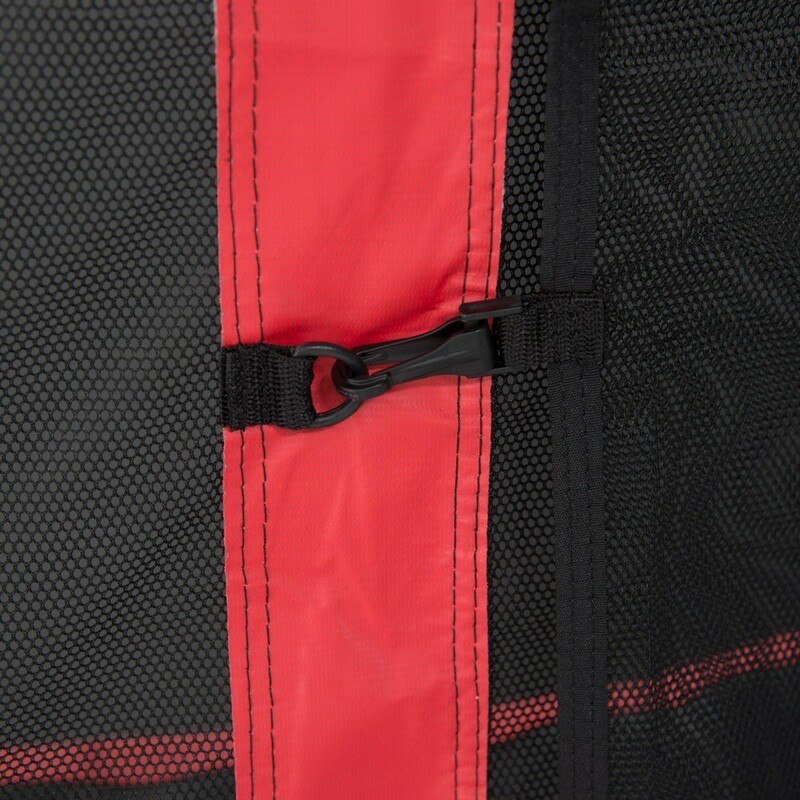 The netting is made from braided polyester, a soft and robust material. 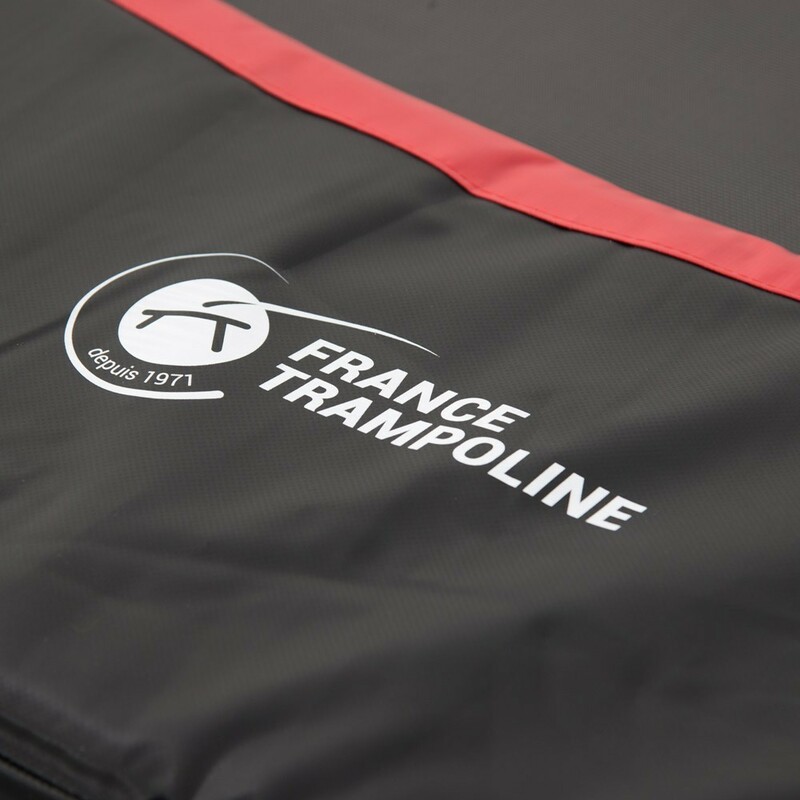 - The frame pad is made of EPE mono-block foam and is covered in a very thick PVC layer (comparable to a lorry tarpaulin: 650 gr/m²). 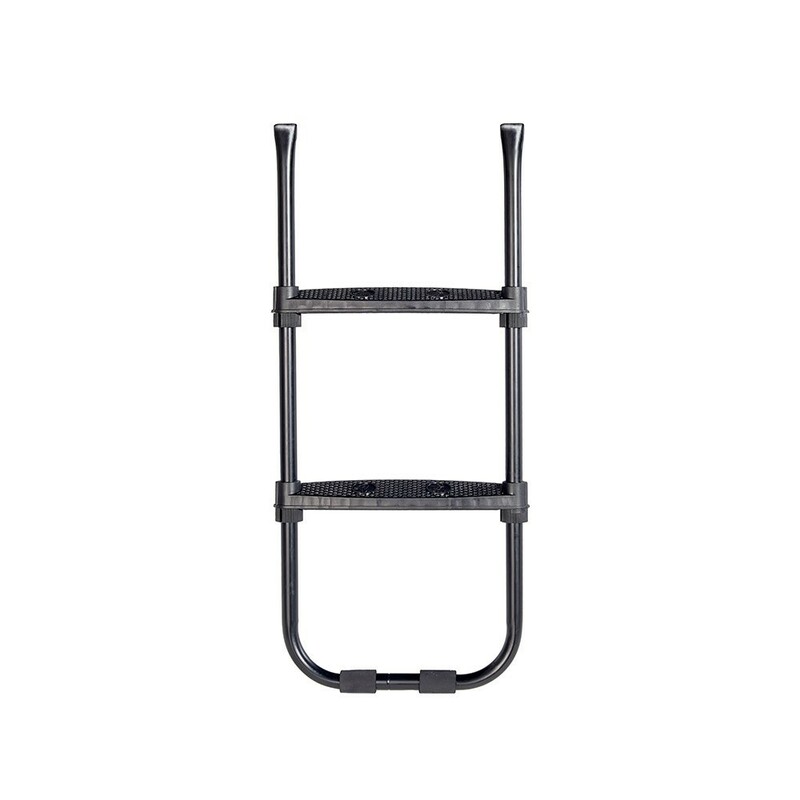 - The removable ladder has 2, 7.5 cm wide anti-slip steps for easy access. 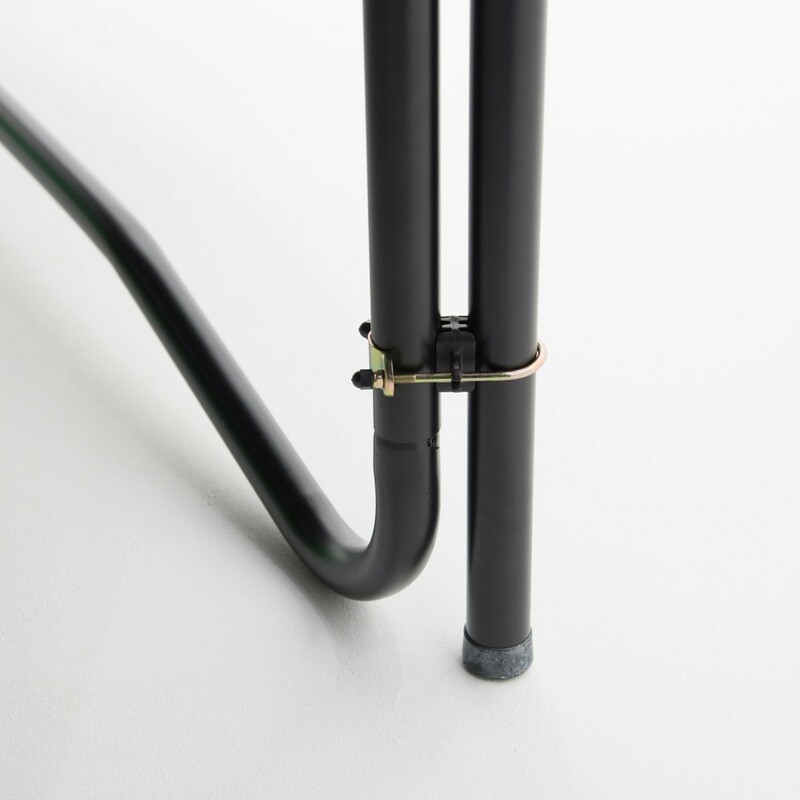 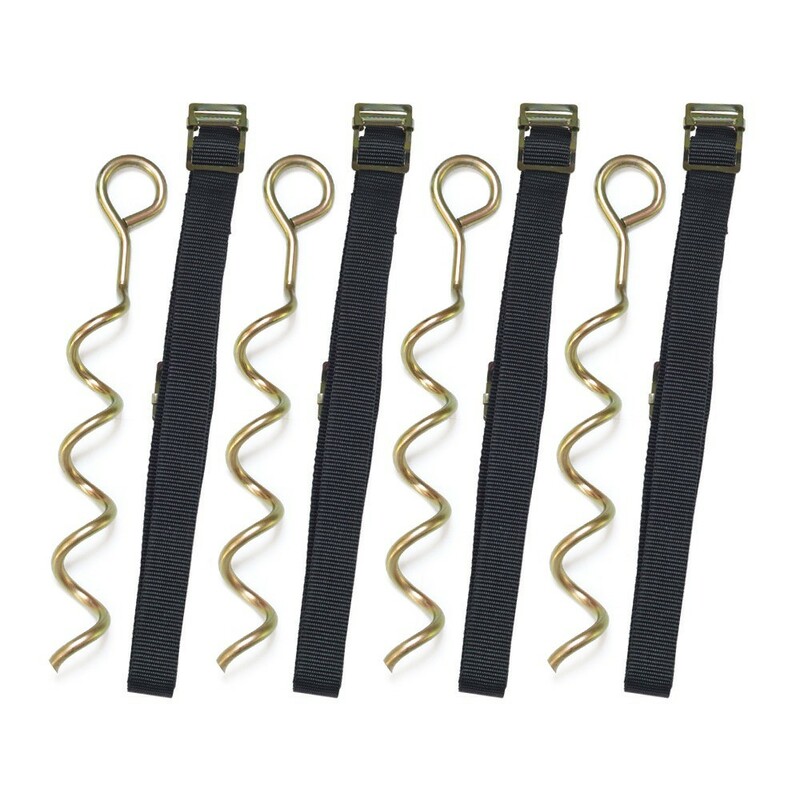 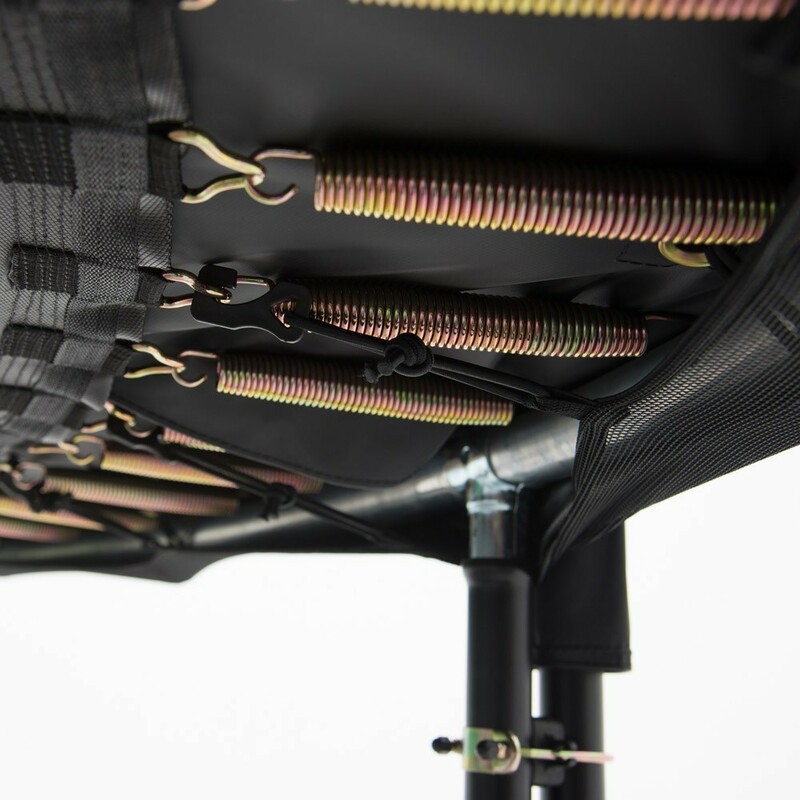 - The anchor kit, necessary in windy regions is made up of 4 winged screws and 4 straps. 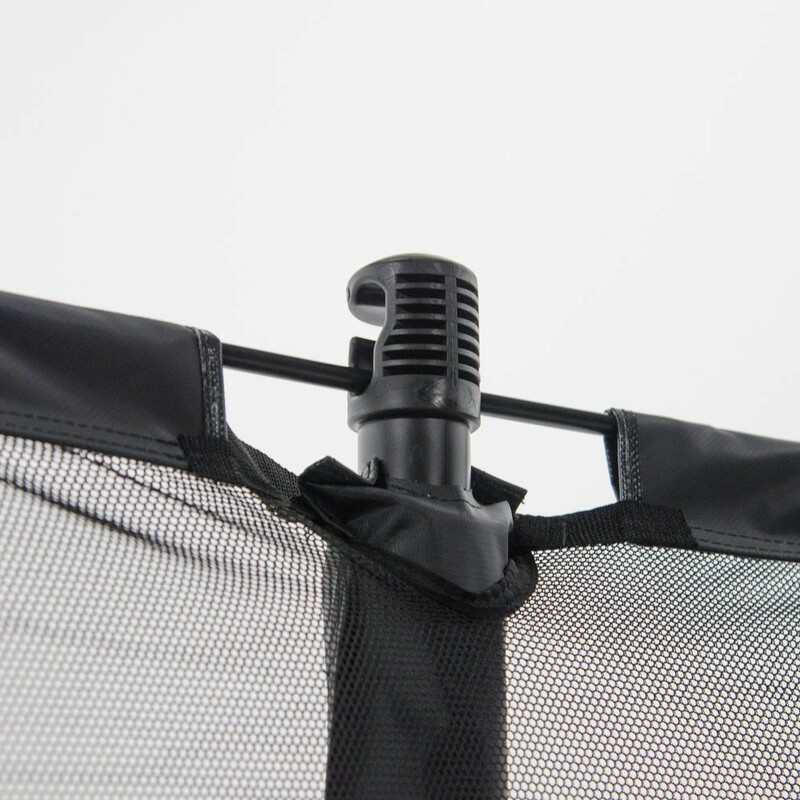 - The premium weather cover protects all fabric components, thanks to a thick layer of PVC coating (650 g/m²). 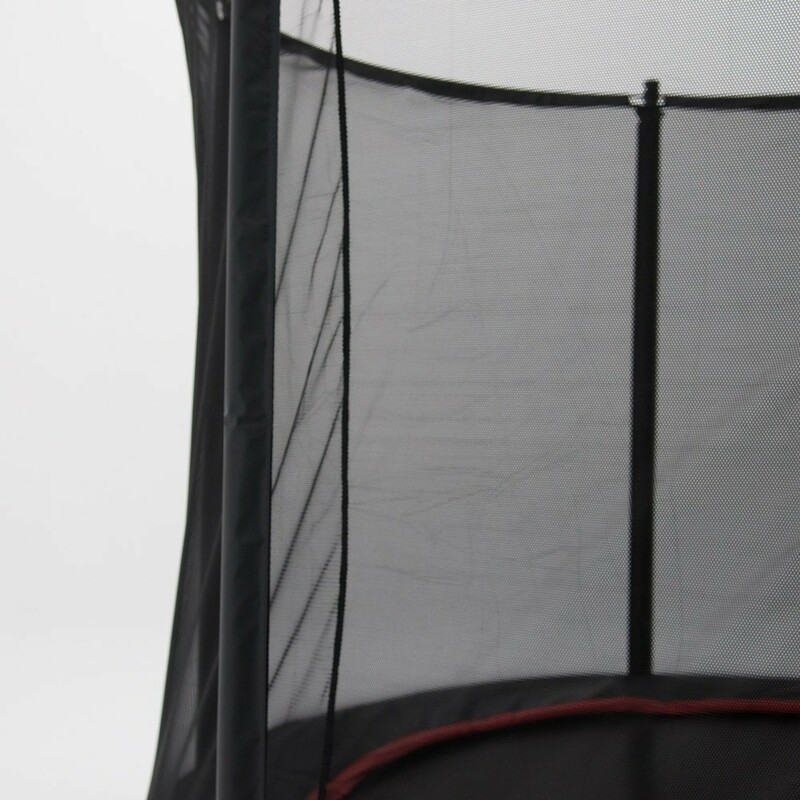 The cover is equipped with 3 evacuation grids to stop water from gathering in the centre of the pad. 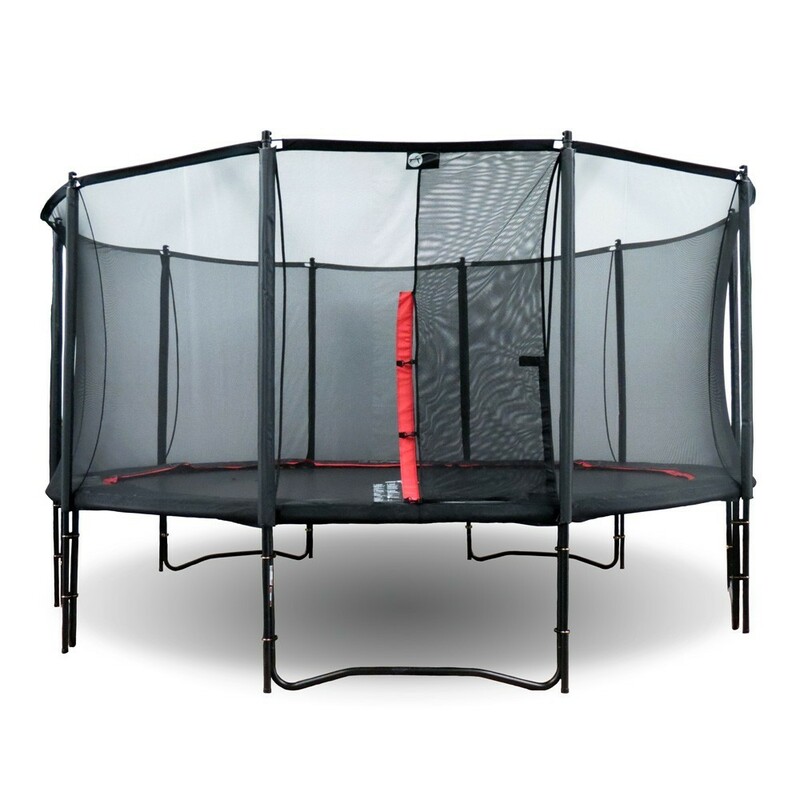 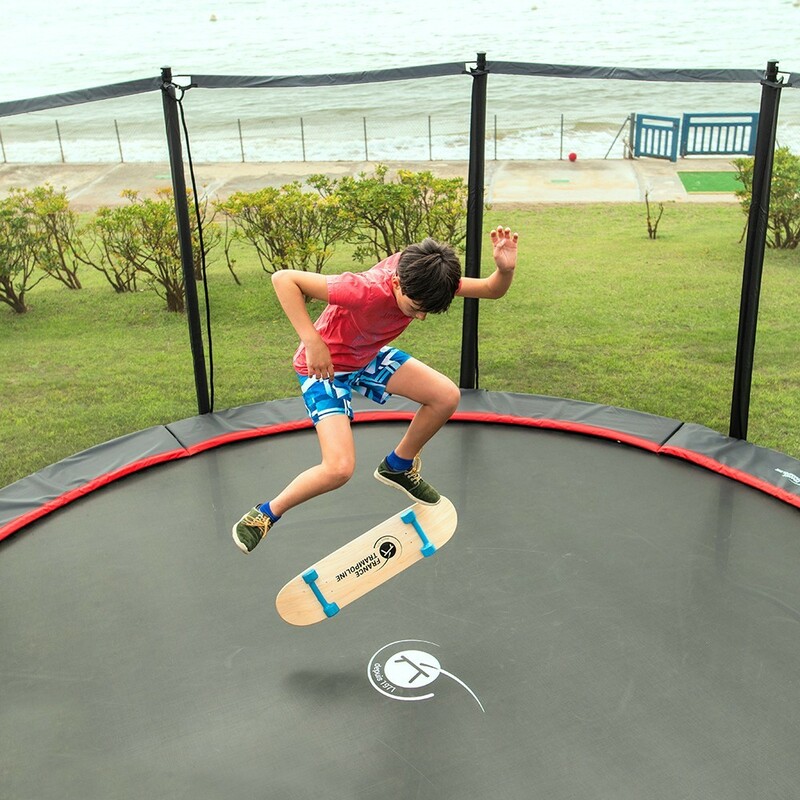 bon trampoline, quelques défauts à la livraison, vite résolus en quelques semaines.